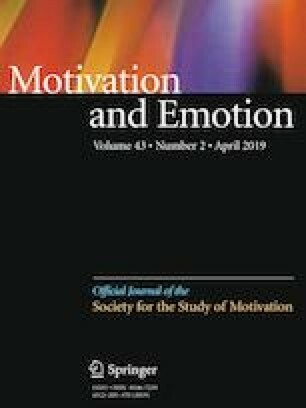 Adaptive behaviors, such as exercise and relaxation, are well-demonstrated to provide broad benefits, yet little is known about how emotion precede and/or influence their use. Broadly, literature suggests that adaptive health behaviors are enacted for the purpose of regulating negative affective experiences. However, other theoretical work suggests that positive affect precedes adaptive health behaviors, serving to maintain positive affective states. We sought to explicitly test the role of within-person fluctuations in negative and positive emotion in future adaptive behavior. Adults (n = 56) who were either psychologically healthy (n = 22) or diagnosed with major depression and/or social anxiety disorder (n = 34) completed an in-lab diagnostic interview, followed by a 14-day experience sampling diary measuring within-person fluctuations in positive and negative emotion and health behaviors. Within-person levels of positive affect was significantly associated with future positive health behaviors. Prior positive behaviors was also significantly associated with behaviors reported in the next signal. Additionally, mean positive affect was significantly associated with engagement in positive health behaviors. There were no significant associations for within-person or mean negative affect, and there were no group differences. Together, these results support a maintenance model, such that within-person increases in positive affect predicted future report of positive health behaviors. The online version of this article ( https://doi.org/10.1007/s11031-018-9729-8) contains Supplementary Material, which is available to authorized users. Frijda, N. H. (1986). The emotions. New York, NY; Paris: Cambridge University Press. Retrieved from https://proxy.library.kent.edu/login?url=http://search.ebscohost.com/login.aspx?direct=true&db=psyh&AN=1987-97938-000&site=ehost-live. Liao, Y., Shonkoff, E. T., & Dunton, G. F. (2015). The acute relationships between affect, physical feeling states, and physical activity in daily life: A review of current evidence. Frontiers in Psychology, 6. Retrieved from https://proxy.library.kent.edu/login?url=http://search.ebscohost.com/login.aspx?direct=true&db=psyh&AN=2016-22185-001&site=ehost-live. Schwarz, N., & Clore, G. L. (1996). Feelings and phenomenal experiences. In E. T. Higgins & A. W. Kruglanski (Eds. ), Social psychology: Handbook of basic principles. (pp. 433–465). New York, NY: Guilford Press. Retrieved from https://proxy.library.kent.edu/login?url=http://search.ebscohost.com/login.aspx?direct=true&db=psyh&AN=1996-98402-015&site=ehost-live. Takeda, F., Noguchi, H., Monma, T., & Tamiya, N. (2015). How possibly do leisure and social activities impact mental health of middle-aged adults in Japan? : An evidence from a National Longitudinal Survey. PLoS ONE, 10(10). Retrieved from https://proxy.library.kent.edu/login?url=http://search.ebscohost.com/login.aspx?direct=true&db=psyh&AN=2016-04754-001&site=ehost-live.